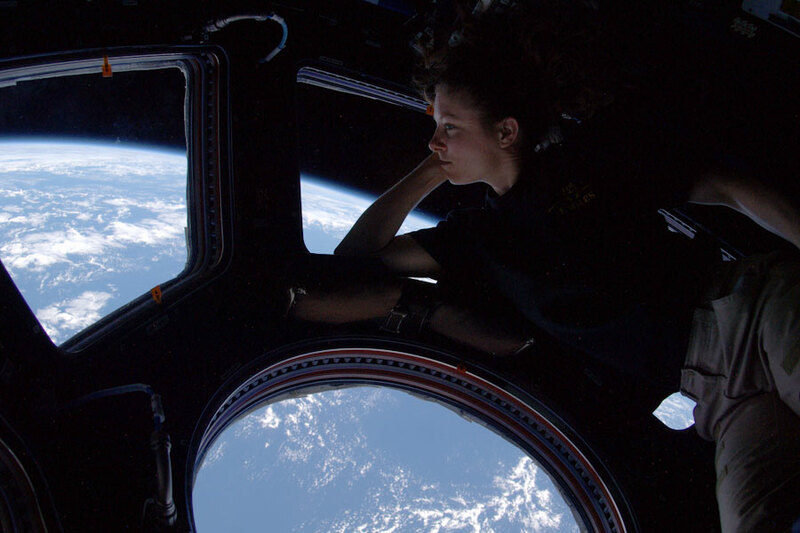 Astronaut Tracy Caldwell Dyson looks out the Cupola window bay of the International Space Station at Earth, about 350 kilometers below, sometime in September 2010. More information here and here. Don't forget that we live in a time when this is a real thing that actually happens. "I see the Christian Science church already has its Christmas tree up." "Yeah…and you notice, it's always a Christmas tree. Never a Science tree." Mr. Cabo favors the kind of dress inspired by turn-of-the century Chinese aristocrats: a long, black silk tunic with a mandarin collar that opens to the side and a black trilby over a black do-rag bearing Chinese characters for "dragon" and "trust." On his feet he wears black Dr. Martens boots. One early Sunday morning, while commuting to work by subway, he explained his look. His attire communicates his respect for Chinese culture, he said, but it also has a more practical function. Because angry Chinese parents do not knock before barging into his office, when they see him behind his desk in the fashions of yesteryear they are momentarily flabbergasted. "It gives me time to think," Mr. Cabo said as he walked through the crowd. At 6-foot-3, he appeared nearly a head taller than almost everyone around him. "Plus, they’re going to stare at me anyway," he said. Recently, a 4-year-old started crying in fright at the sight of him. "I’m a little afraid to talk to you, because you’re black," a parent said to Mr. Cabo, who speaks fluent Mandarin. From the New York Times, November 3, 2010. He comes from a distant place. He's not like anyone else around him, and though he tries to fit in to a certain degree he is always apart. He's assumed to have special powers and abilities because of his alien heritage. He wears a distinctive outfit for psychological advantage, to evoke a specific response in the people he deals with. I don't say that Paul Cabo is heroic…but he may have more to tell us about what it would feel like to be a costumed hero in real life than you'll find in Watchmen or the works of Ellis or Millar.